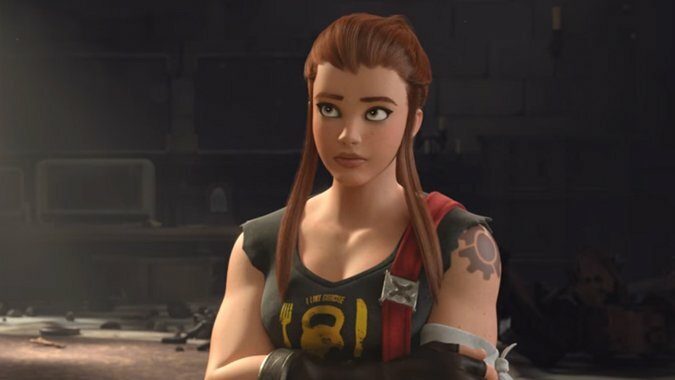 If you’re an Overwatch player or just an utter nerd for the game’s lore like I am, you probably know that Blizzard has announced that the next playable hero is Brigitte Lindholm. As a uniquely tanky support character, Brigitte is likely to have a big impact on the game’s meta and how certain characters end up being used. Blizzard isn’t ignorant of that or of the fact that new characters often come in feeling somewhat over or underpowered. Brigitte is currently in testing on the PTR, and Blizzard wants to make sure she launches in a good place. As we continue to fine tune Brigitte, we wanted to get a bit of extra feedback from our players. So, during the PTR, we’ll be randomly selecting a limited number of people (who have participated in the Public Test Region) to receive a short survey. The survey should only take about 5 minutes to complete and will not ask for any personal or sensitive information. • Make sure that you’ve played for at least 30 minutes on our Public Test Region. • Make sure that your Battle.net account is configured so that you receive emails from Blizzard. Login to your account on the Battle.net site. Navigate to your Communication Preferences under Settings. Make sure the box next to “News and Special Offers from Blizzard” is checked. We look forward to your responses and hope you’re enjoying Brigitte! It’s not a particularly complex process and doesn’t require you to do too much. All you need to do is check your account to see if you can receive emails from Blizzard. After that, play Brigitte for a while on the PTR. Either you’ll get chosen for the survey or you won’t — it’s all basically stuff you’d do anyway and isn’t anything you need to worry about. How does Brigitte balance out compared to other support? How does she affect the way other characters interact? Is she too good against Genji, or does she still need work to stay upright in her tank/support hybrid playstyle? If you want to offer your perspective, all you have to do is get on the PTR, give her a try, and let Blizzard know what you think.